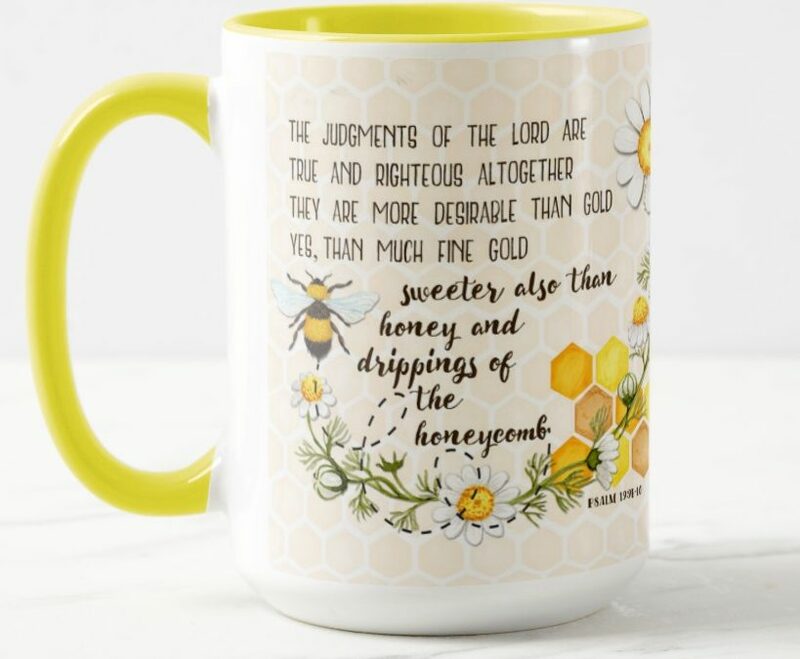 Psalm 19:9-10 tells us how valuable are God’s words: more desirable than gold and sweeter than honey. See this design on many items, including the clock above, in my Society6 shop, and on the mug with the yellow trim in my Zazzle store. It goes like this: On the Third day, God created all of the plants. And coffee comes from a plant. 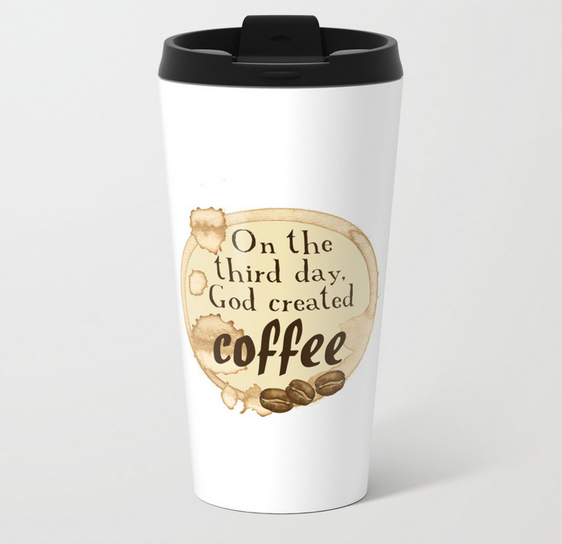 So, on the Third Day, God created Coffee. You can see this design on mugs and many more items in my Society6 shop.